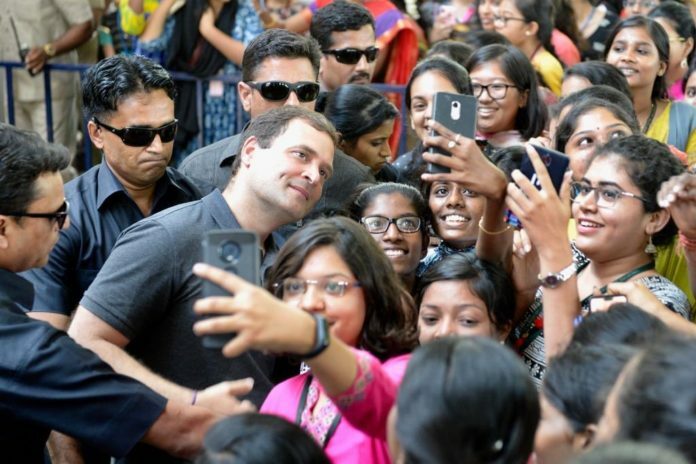 Home Latest Stories Don’t call me sir, call me Rahul (naam toh suna hi hoga)! Don’t call me sir, call me Rahul (naam toh suna hi hoga)! Congress president Rahul Gandhi recently made a female student blush when he asked her to not call her Sir, but Rahul. Azra then said, “Hi Rahul”, all the while blushing, as the crowd cheered for Rahul. Previous articleUS approves sale of 108 AMRAAM missiles to Australia. Next articleBurhan Wani not a terrorist but victim of NC’s repressive rule: PDP.